What a great time of year!! Christmas is coming. Yes, you read that right. Now, let me explain where I’m going here. Who spends money at Christmas time? Pretty much everyone would be the correct answer. 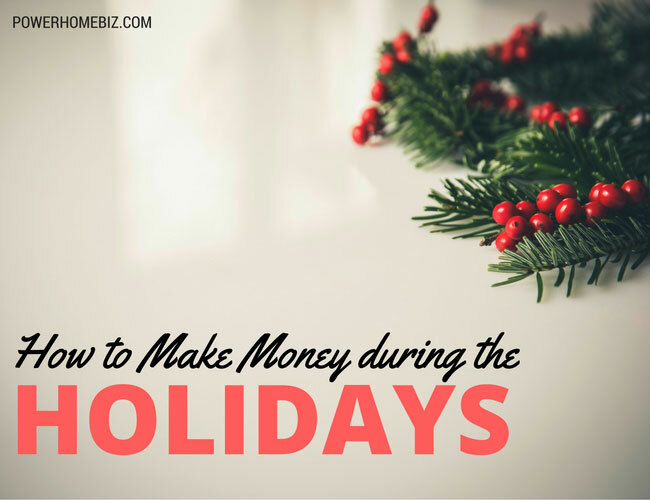 What would be your thoughts on making some of that money during the Holidays, and just not spending it? 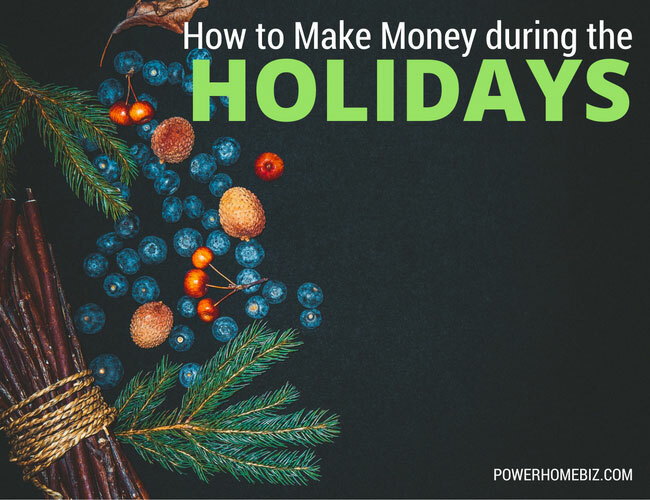 If you’d like to be on the making money end during the holidays, now is the time to start preparing. Below I’m going to give you some money-making ideas for the holidays. Pick the one that interest you the most! It doesn’t matter if you’re into woodworking, sewing, painting, pottery, or creating handmade paper. More than ever, people enjoy giving that, one of kind special gift at Christmas time. You can sell your wares via the Net, Holiday Bazaars, Craft Shows, consignment style and once you become known for your wares, word of mouth will keep you very busy. One idea is to create your own line of holiday cards with rubber stamps. Melissa Duquette has found this to be a profitable business. She explains, “The card season is upon us and everyone will soon be searching for the perfect holiday card to send to family and friends. This is your opportunity to break out into business and create unique hand-stamped holiday cards. Or why not offer a class teaching this great hobby? Rubber stamping can be worked into so many different businesses.” I’ve been to a rubber-stamping party where we were able to create our own cards. I had a great time hanging out with my friends and making my own unique cards. If you are into rubber stamping, seriously consider having a rubber stamping card party. You would supply everything needed, and could charge either a flat fee or charge per card made. Personalized Specialty Letters are primarily a whimsical treat for children. You’ve seen the delight in your child’s eyes when there was a piece of mail for them. You remember how special you felt when you got mail as a child. When well planned, authored and marketed, these letters from Santa become keepsakes in the child’s memory book. They are little things that evoke smiles for years to come, as the child and the parent recall the excitement and interest in the mail itself, and then the sheer delight when the child discovered where the letter came from. Success, and repeat orders, for Personalized Specialty Letters, is achieved by one’s ability to remember the age of 4 or 5. To produce a quality letter, one must be able to think like the child, and also be prepared for some diligent work. The rewards of this type of business are very exciting. Hooking up with retail stores and charities can help increase your profit. The facts are these; we are all busier than ever. Everyone from companies to families is in need of someone to search out the perfect Christmas gifts for colleagues, clients, and friends. Now is a good time to start planning out this business so you know who you’ll be contacting, and how you’ll contact them. This is an awesome business for those who love to shop! Thanks to the Internet you can now buy from the comfort of your own home. You could advertise your new business on bulletin boards, newspaper ads and of course, word of mouth. Don’t be shy about your new business that will provide relief from the holiday stress for your future clients. Kim Moya runs a T-shirt business and finds this a way to make extra cash during the holidays. She says you can create inexpensive holiday sweatshirts, and long- and short-sleeved T-shirts. And she doesn’t stop at T-shirts, but also includes tote bags, felt and cloth ornaments, the advent and traditional calendars, aprons and many other items that you can purchase wholesale and sell at retail prices! I know there are many of you out there who LOVE to decorate for the Holidays. I know this because I’ve been in your homes during Christmas. There are those of you who cannot help but pull all the stops when it comes to turning your home into a winter wonderful. And why stop there? Homes, as well as businesses, need you to create that same sort of Holiday atmosphere for them. You can decide if you enjoy decorating the inside or the outside of homes. Just pick what you like the most and start spreading the word today. Get those business cards printed up and start making friends with businesses and be sure to tell your friends what you’re up too. We need your help. Then there are the people who cannot stop cooking and baking during the holidays. At the close of the season all of your neighbor’s refrigerators and cookie jars are bursting at the seams because once again, cooking is just your thing. Believe it or not, this is not the favorite thing for some people. Your future customers need someone like you to help them with their Holiday parties. Stacy Robinson has found that A Holiday Home Boutique is a fun way to network with others who provide a holiday-related product or service. Each vendor displays her product or information about her service, and friends and neighbors are invited to come to shop and share fellowship.s. The niche market that has been Stacy’s holiday bread and butter since 1991 is selling gingerbread houses to real estate agents. She leaves a gingerbread house with order information in large real estate offices for a few days. She also offers free delivery to the real estate office, or delivery for a fee to their home-buying customers and other colleagues, such as mortgage brokers, closing attorneys, etc. The hype of eBay has not gone away but has only grown. When among a group of people, I can usually find someone who has either bought or sold something in an online auction. Colleen Wallace has made it her business to sell merchandise online. “The holiday season is the best time of year for me. People are always looking for unique and interesting gifts to give their loved ones. What better place to find something different than the online auctions,” says Colleen. Start thinking about what you might have that you could sell online. Colleen has found that the items that sell well are those that can be used for stocking stuffers, are limited editions, or are signed items. 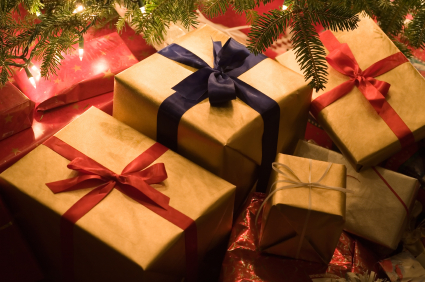 These are just a few ideas of what you can do to make a little extra cash this holiday season. Use your imagination. Remember, people are more than willing to spend money for that special gift and holiday service. Why can’t you be the one who pockets that money? This is such a good time of year to make your business work. If your kids are a little older, they are in school. You have those extra few hours a day to rush around like a mad person and make your business a success! Another great idea about this type of seasonal work, if you plan it right, you shouldn’t be working too close or on the actual Holidays. Being your own boss has never sounded better, now has it? Start thinking now if you want this to be seasonal work, or if you want to continue with your business after the holidays. All of the business ideas I listed above can be run throughout the year. This could be the start of something very profitable! Liz Folger is the founder of http://www.bizymoms.com . Bizymoms.com is the leading online resource for work-from-home ideas. The site offers home-based business start-up kits, online classes, e-books, chats and enthusiastic support for moms who want to have it all a family and a career. Visit http://www.bizymoms.com for more information. Are You Ready for Holiday Selling? I am writing to let you know what a magnificent experience my wife’s child developed going through yuor web blog. She mastered several pieces, which included what it’s like to possess a marvelous coaching nature to have other individuals without hassle completely grasp various very confusing issues. You undoubtedly exceeded our own expectations. Thank you for supplying such warm and helpful, healthy, educational as well as easy tips on this topic to Evelyn.